The world’s first light field camera will soon be available for purchase at several major online retailers in the US. Lytro will be launching their shoot now, focus later camera through Amazon.com, BestBuy.com and Target.com starting October 9 and locally at CityTarget stores in Chicago, Los Angeles, San Francisco, Seattle and Westwood, California in November. Canadian residents can pick up a Lytro camera at Future Shops and we are also hearing that it will be available at various retailers in Australia, Hong Kong and Singapore during the same time period. 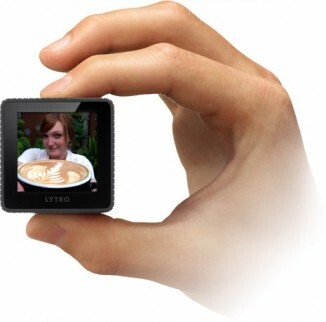 Up to this point, the camera has only been available for order through Lytro’s online store. We first heard about the promising Lytro camera in June of 2011. Like many others, I was intrigued by the fact that you could take a picture with the camera and adjust the focus manually afterwards on your computer. The camera is partially able to accomplish this feat because it captures the entire light field, described as all of the light traveling in every direction in every point in space. Such extensive data about a scene is lost with traditional cameras. Pre-orders began shipping early this year but there was one major drawback initially: the software only worked on Macs. A quick check of Lytro’s website reveals that is no longer the case as Windows 7 is now fully supported. Early reviews found the camera lived up to its promise but image quality and ergonomics weren’t very good. Starting at $400, many felt the Lytro was more along the lines of an expensive toy than a serious photography tool.